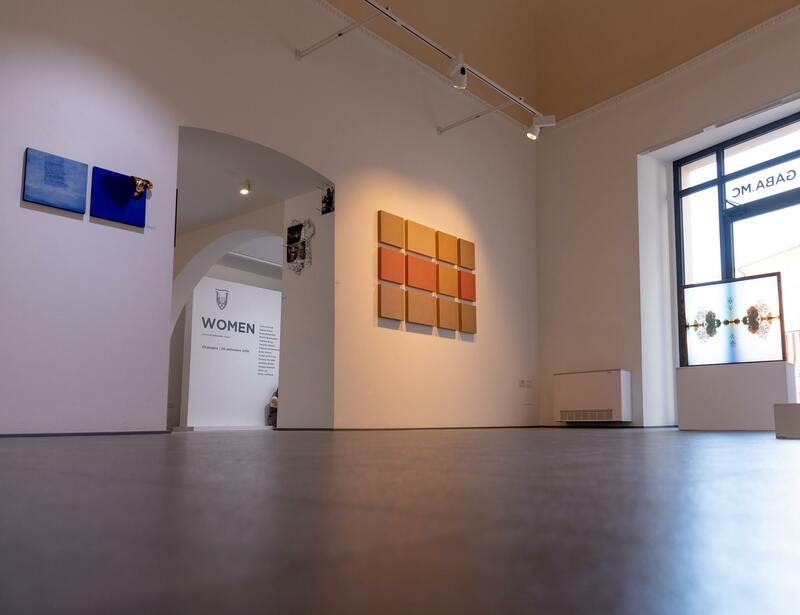 At the end of a dense programme of events, GABA.MC, the gallery of Macerata’s Academy of Fine Arts, concludes its annual exhibition schedule with Women. 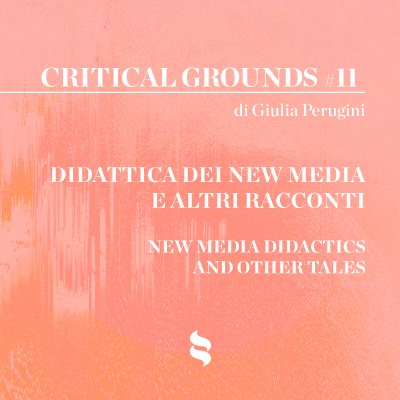 This is an eclectic and vibrant collective project set up with the intention of exploring the explosion of different languages that have taken over global contemporary art through the voices of twenty-eight Italian female artists. The curated project, according to the gallery’s artistic director Antonello Tolve, while presenting works made exclusively by women, does not «follow a hypothetical fil rose (pink/female thread)» nor does it want to fulfil «the social role of a mistreated or marginalised art scene». The project aims to free itself from suffocating gender labels and restricting or disparaging anachronistic definitions to design instead a complex landscape, both lively and coloured, in which the artist, as Tomaso Binga notes, «is neither male nor female, but ageless and devoid of nationality: belonging exclusively to the world». 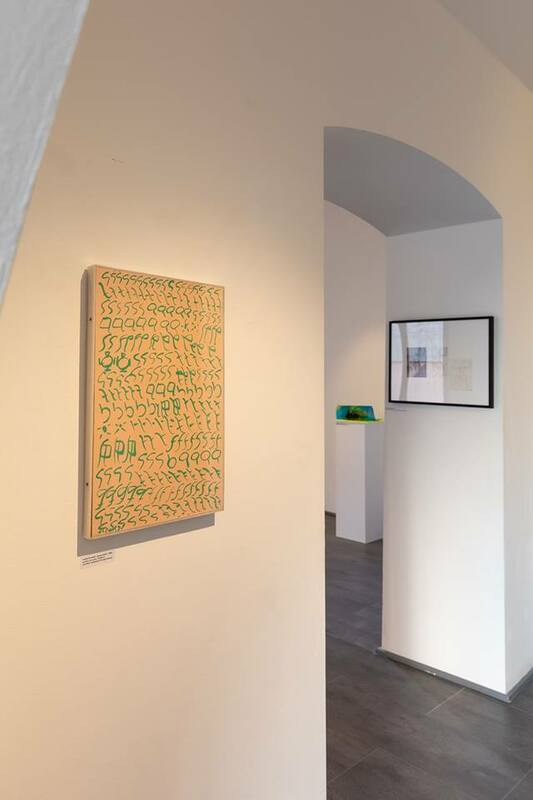 Alongside works of historical importance – among which the marble book by Mirella Bentivoglio or the embroidered jacket made for Filiberto Menna by Maria Lai are notable – there are works by eighteen young and upcoming female artists. These artists broaden sculptural discourses on fragility, care and the ephemeral presence of the body, or the evocative force of the written word, as seen in Isabella Leandri’s production (the only poet in the exhibition). Dynamogenous discourses linked to a vivid and ironic sexuality, or transporting material research into a neopop dimension linked to childhood, are followed by installations full of intimately bitter and nostalgic nuances. In other instances, however, what prevails is the structural weight and materiality of an artwork that wants to be touched in order to disclose the unexpected, the wondrous and the surprising. 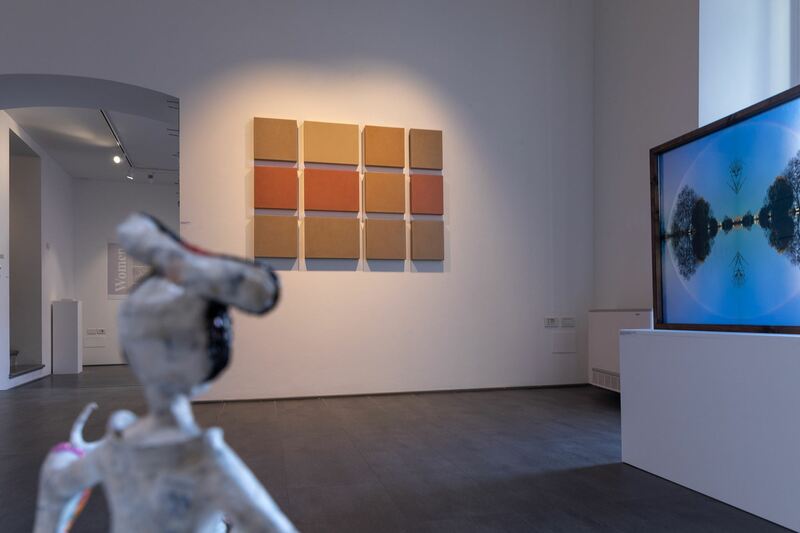 The video sculpture by Chiara Passa is more closely linked to the digital universe. Visitors are invited to interact with the installation by drawing closer to look at a tactile work hiding a smartphone inside it, inserted in a Google Cardboard and equipped with an application designed by the artist. Once the device is activated, it reproduces a 1-minute long animation that transports the user into virtual reality, into a dynamic and three-dimensional Super-space where the gallery’s architectural limits are broken down and substituted by geometric forms in frenetic movement. The exhibition tour, occupying three rooms, reveals a story made up of different stories. This is undoubtedly a heterogeneous but, above all, poetic take on the contemporary world, changing each time it enters into contact with the artist’s subjectivity and their modus operandi. 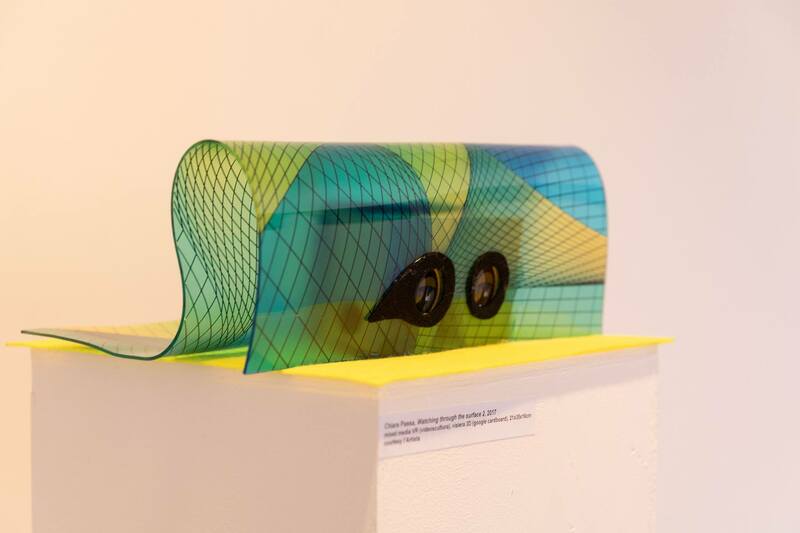 Through a series of different techniques and materials, works that are glottologically distant are brought closer and enter into a dialogue with each other. This creates a festive and kaleidoscopic atmosphere, an effective metaphor for the polyglotism and experimentalism that dominate – and, hopefully, will continue to dominate – the Italian art scene. C. Passa, Artistic Profile, in «chiara passa.it», accessed on 23 July 2018 at 19:18. 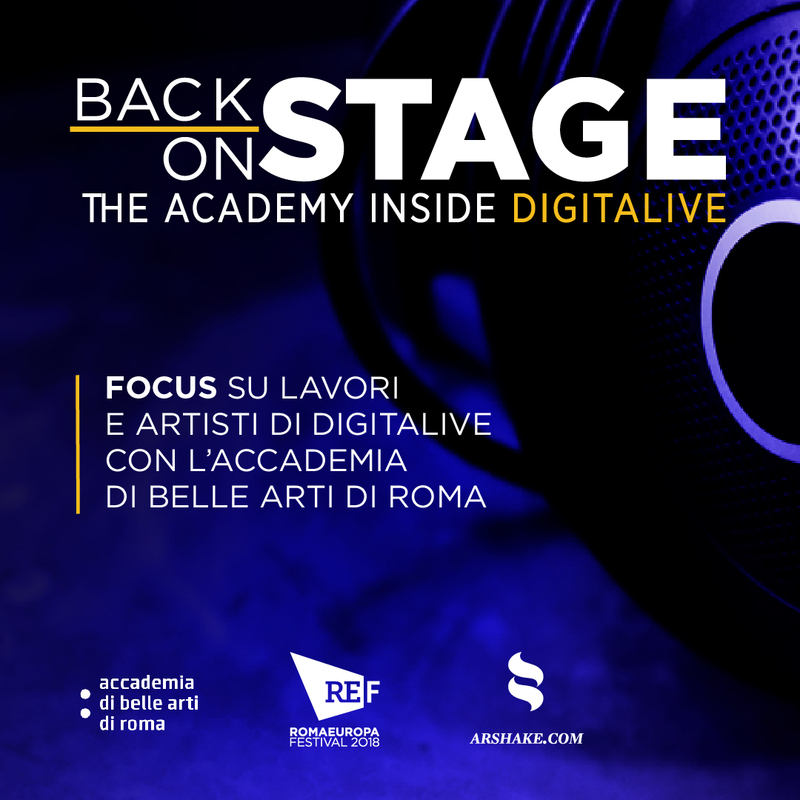 Artists: Carla Accardi | Elena Bellantoni | Mirella Bentivoglio | Tomaso Binga | Veronica Bisesti | Federica D’Ambrosio | Betty Danon | Federica Di Carlo | Mariana Ferratto | Rossella Ghezzi | Claudia Giannuli | Maria Lai | Ketty La Rocca | Isabella Leandri | Annalisa Macagnino | Grace Menach | Marina Mentoni | Patrizia Molinari | Verita Monselles | Elisa Montessori | Deborah Napolitano | Maria Elisabetta Novello | Francesca Pasquali | Chiara Passa | Suzanne Santoro | Annarita Scivittaro.